Coffee shops are more about atmosphere than they are about the quality of coffee. When you can get both coffee quality and an interesting atmosphere then you have done well in your search. 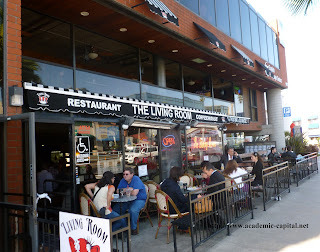 The Living Room offers a picture window of the bay, heavy black coffee, and lots of traffic throughout the café. It is a busy place where tourists, locals, and college students find a place to study, read, converse or eat. 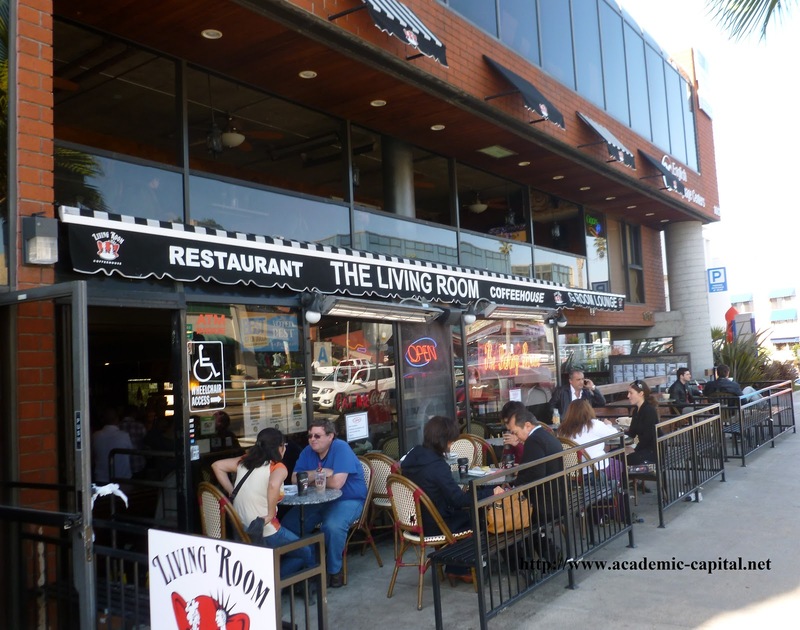 The Living Room fits within the under the $10 rule for a large coffee and appropriate sandwich. You will find the Internet works at an acceptable speed despite the quantity of users. The coffee house would do well to provide plugs near every table as the premium seats are usually taken up by someone with a newspaper and not an electronic device. During the day it is very busy as beachcombers, park goers, shoppers, and students make their way into the shop. The street is lined with trendy stores, bars, sushi restaurants, and other premium establishments. The owner picked a premium location for their establishment by capitalizing on foot traffic. It may be difficult to find parking so expect to drive around for a few minutes. This Café serves not only food but also alcoholic beverages as well. Nothing wrong with a shot of Kahlua in your coffee! Even though I didn’t have time to check it out there is a cigar room, hookah lounge, and bar upstairs. This would appear to be a night location for light food and sitting around enjoying the California evenings.